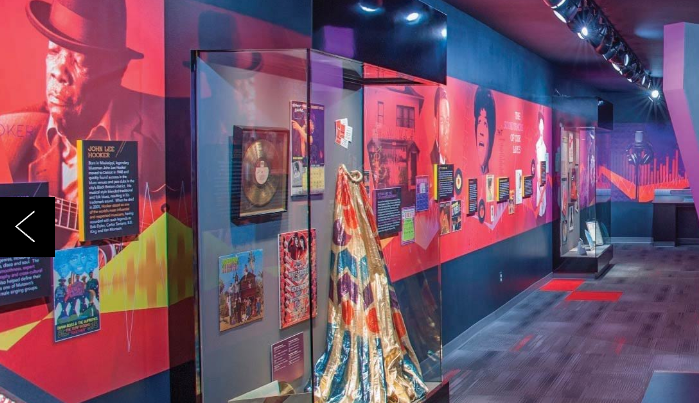 A new exhibit at the Detroit Historical Museum has a jukebox salvaged from a former beauty shop and a stage from an old jazz venue. “Salvaging Sound” shares the story and preservation efforts of the Detroit Sound Conservancy , includes pictures, posters, and other memorabilia. The jukebox is a refurbished Wurlitzer High-Fidelity & Stereophonic 2500. It comes from Jordan’s Barber & Beauty, near the original home of Motown Records, where it had been since the 1960s with records still inside. The stage is from the Blue Bird Inn, which the nonprofit group plans to buy and restore. The free exhibit is open until April 7.